11-2-18 Cheer season is coming to an end tonight! For those of you who would like to continue cheer after football season, the cheer committee is putting together an acro-tumbling class at Hayden’s with Coach Rob. This class includes stunting! I’ll be sending a survey to gauge interest, we’ll need 7 to commit to a private class otherwise the girls can join in an already established evening class. This would allow the girls to maintain and improve skills that they have learned thus far. ﻿WE LOVE NEW PLAYERS! 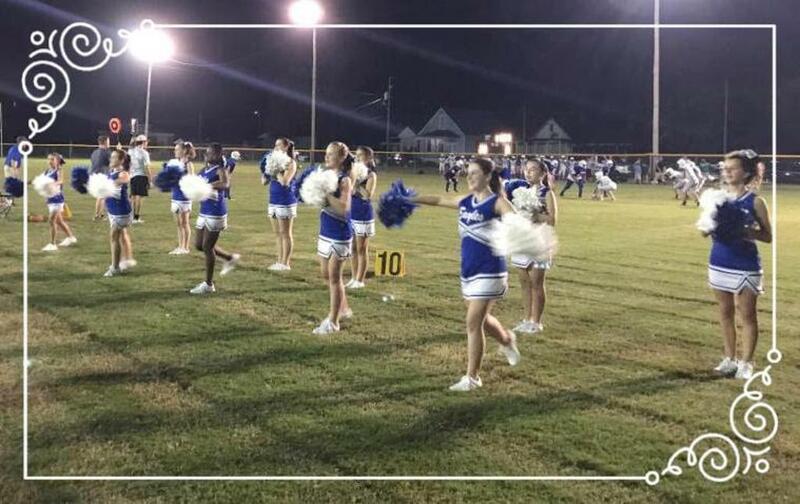 Do you have a daughter who would like to participate in Cheerleading? Click here to learn how to register for the team!